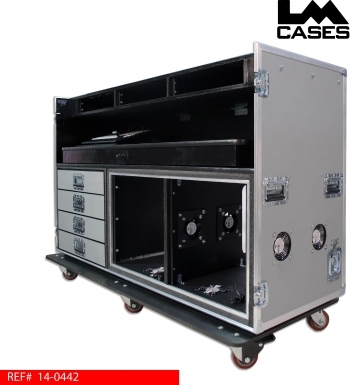 This case was designed for Novartis Pharmaceuticals and integrated by the Whitlock Group as part of a 3 case portable system that is designed to travel between buildings ontheir campus. This case is the central piece of the system holding the mixer, video switcher, preview monitors and rack mounted components. 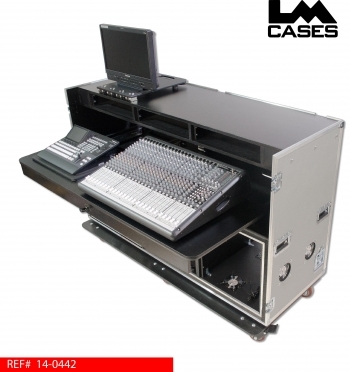 The Mackie Onyx 24.4 console and Panasonic AV-HS410 switcher sit on a slide out shelf that allows operators to use them in either the standing or stiiting position. 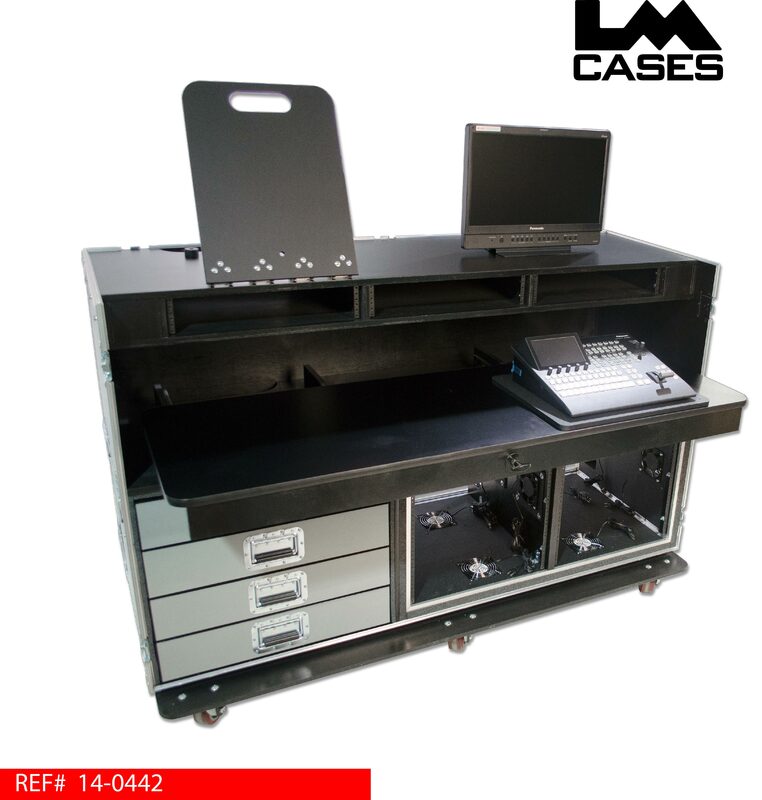 The sliding shelf is built out of 3/4" Baltic Birch and is mounted on HD Accuride drawer glides. 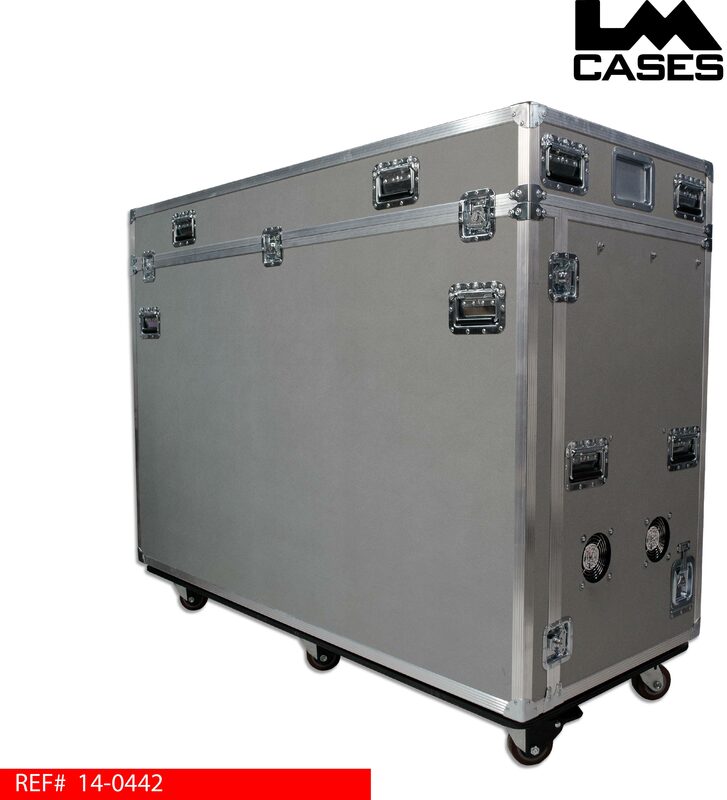 It is finished with black texture coating and features a multi-point latching system allowing it to be locked in a variety of extended positions during use. 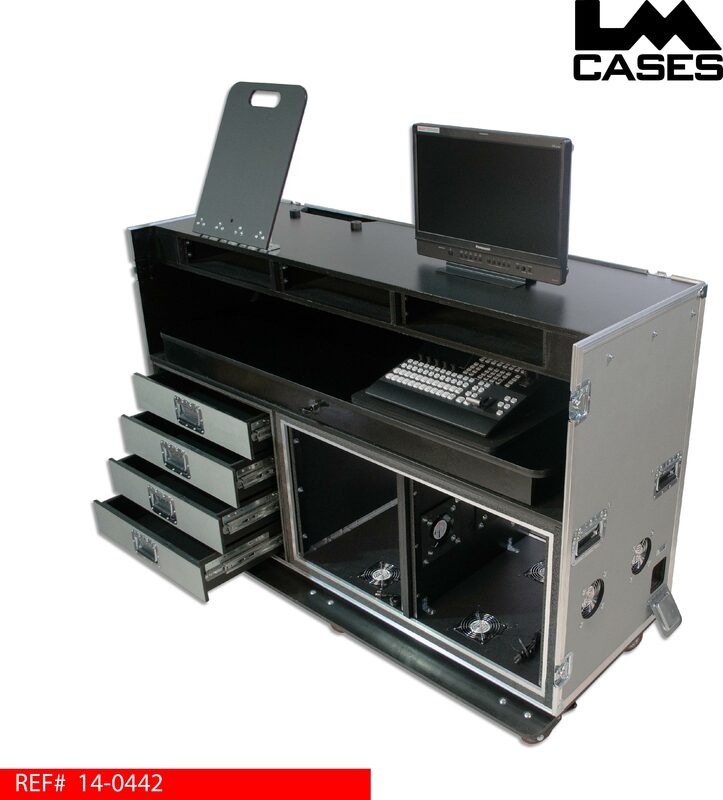 Mounted above the console work surface are 3 - 2RU racks designed to hold meters and preview monitors. The triple wide rack section creates a shelf that holds a preview monitor and a Apple iMac (not pictured). The preview monitor is mounted on a position control board that allows the monitor to be tilted 180 degrees allowing for comfortable viewing angels in the standing & sitting positions. 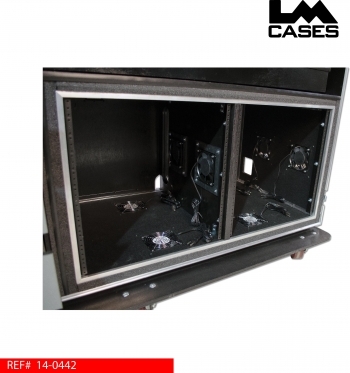 Below the console work surface is a double wide 12RU shock mounted rack with integrated fans. 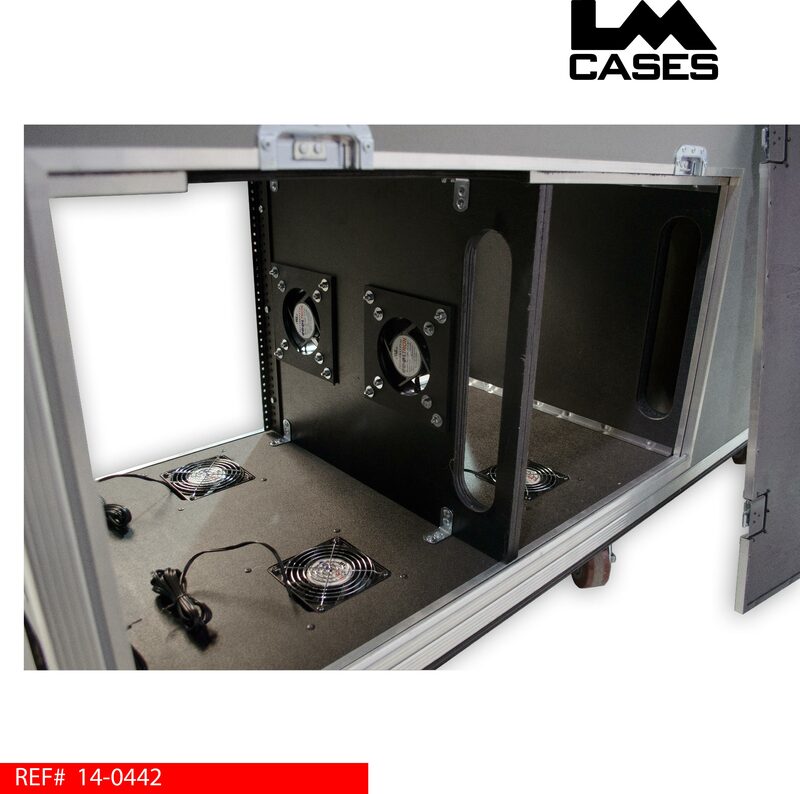 The fans are designed to pull cool air from the bottom of the case up through the rack sections and exhaust out the side of the case. 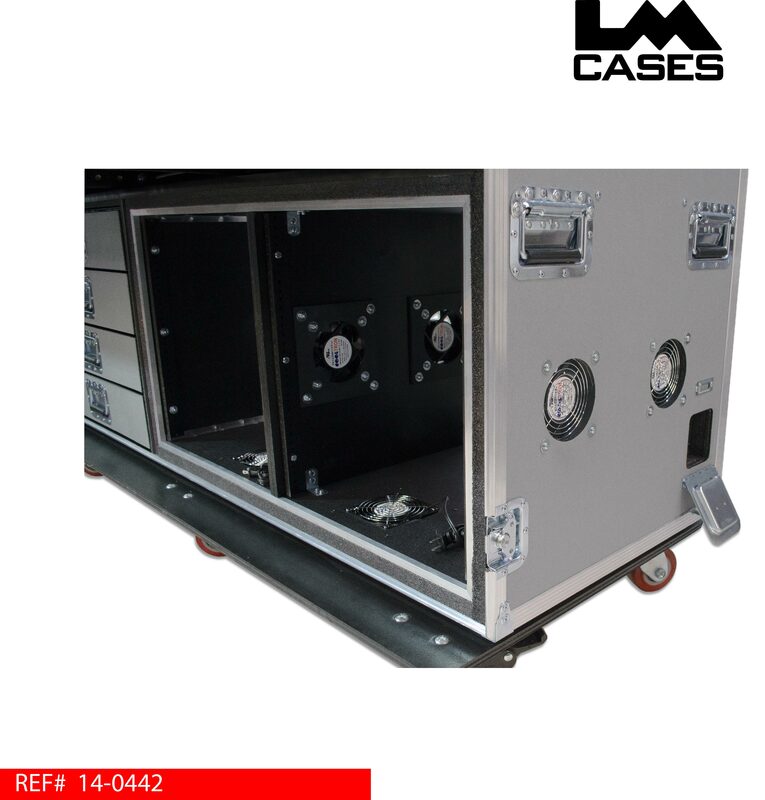 The rack section has a removable panel on the rear of the case that allows access to all components. To the left of the rack section are 4 drawers: these drawers are mounted in their own inner structure which allows them to be independent from the exterior case. Mounting the drawers independently allows the outer case to flex with out transferring that strain to the drawer glides causing them to bend. 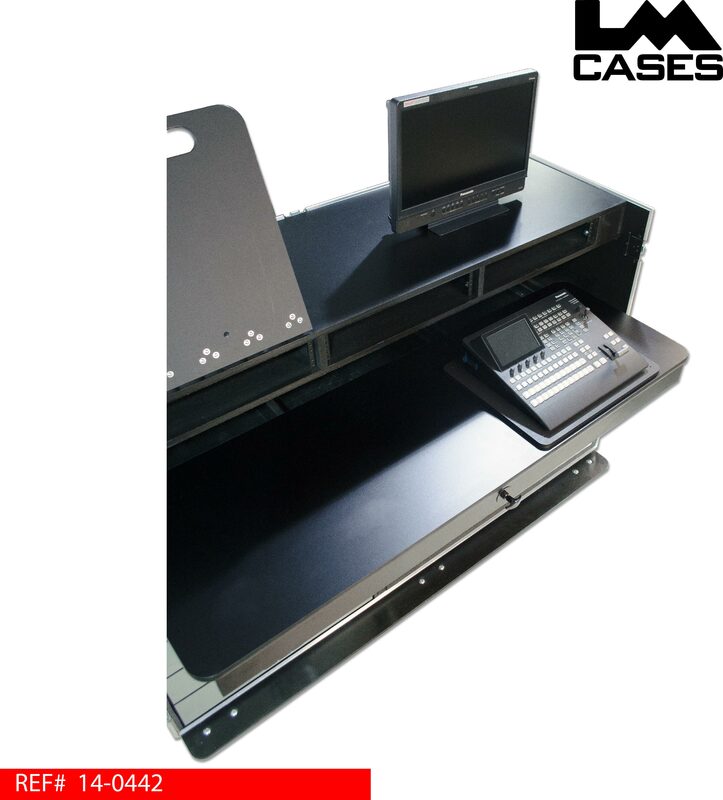 Each drawer is built out of 1/2" Baltic Birch, mounted on HD Accuride drawer glides and finished with black texture coating. 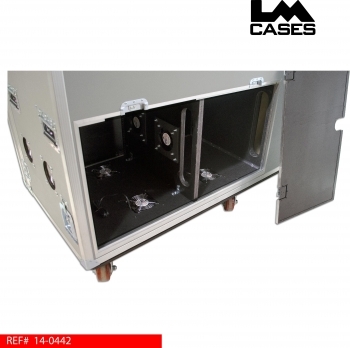 The exterior case is built out of 1/2" plywood laminated with silver ABS plastic and features deep recessed hardware and 4" x 2" Colson casters. 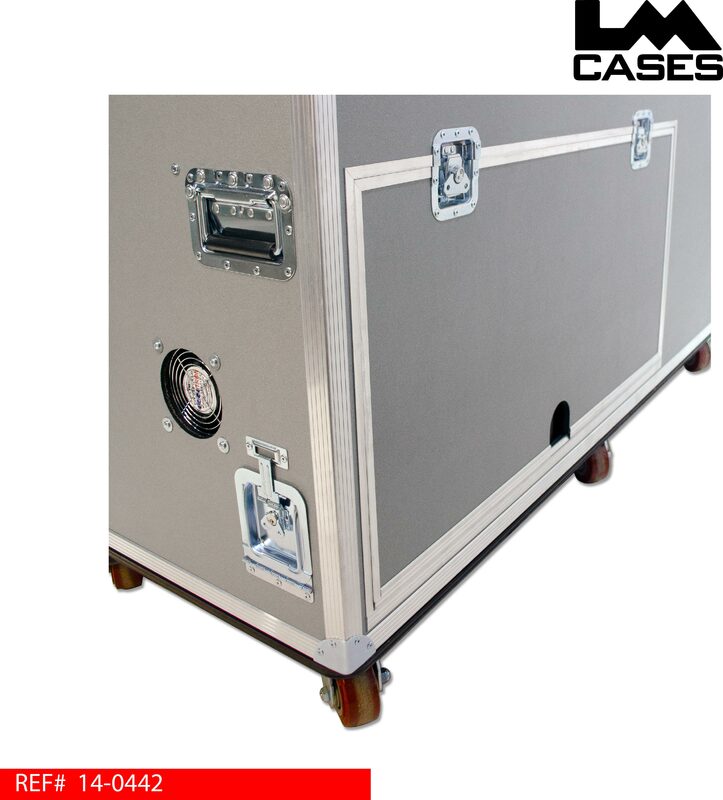 Special thanks to Novartis and the Whitlock Group for a great project! **Information on the system camera control case can be found HERE, the confidence monitor case can be found HERE.